Today I wanted to share with you some of our favorite books of late. I hope you'll enjoy them as much as we have. New baby brothers are loud, stinky, and totally boring. But are they tasty, too? All the grown-ups in Tom's life seem to think Baby Nathaniel looks cute enough to eat. Would they really eat a baby for dinner? Could Tom be next? 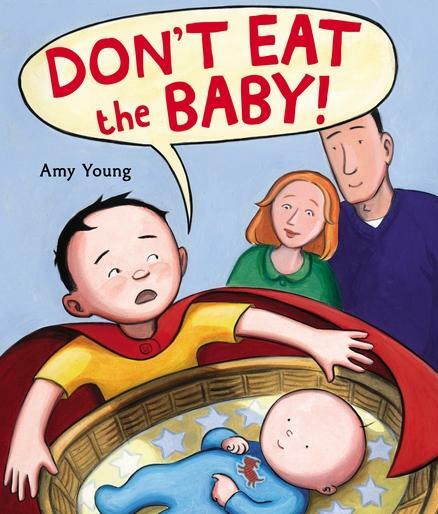 Children will giggle and parents will smile as Amy Young puts a delicious twist on the classic new-baby tale. My kids could laughingly understood this book much too well. We are always eating the baby at our house! Brontorina had a dream. 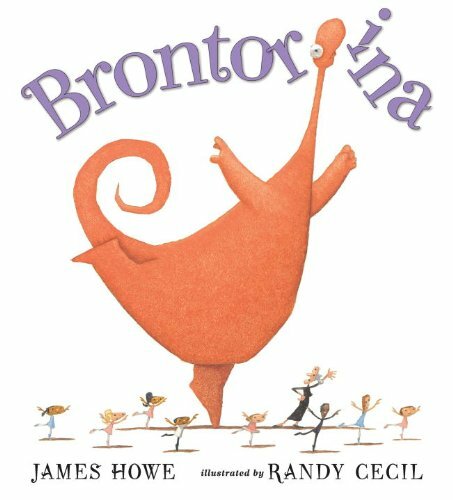 But Brontorina was rather large--too large to fit in Madame Lucille's dance studio. And Brontorina did not have the right shoes--and everyone knows the you can't dance without the proper dance shoes. Still, Brontorina knew, deep in her heart, that she was meant to be a ballerina. A beguiling tale about a dinosaur whose size is out-matched only by her ambition and whose talent is outmatched only by her charm. This book couldn't be more perfect for my dinosaur loving, ballerina dancing daughter. A dinosaur who wants to be a ballerina? Who knew there would be a book out there like that? Needless to say we love it! Benjamin collects stamps. Karl collects coins. 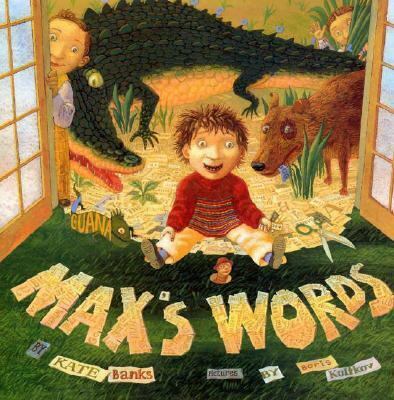 When their younger brother Max decides to collect words, one word leads to another until Max had a story worth telling. Now all he needs is pictures. What could be more fun than a collection of words? And what can all those words make? Stories! I think we need to start a word collection at our house. What do you dread eating the most? 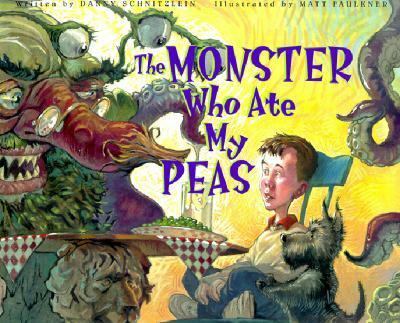 For the boy who's the hero of this story, it's peas. "Eat your peas," says his mom, "or you won't get dessert." He says, "Before peas, I would rather eat dirt!" It would seem that this problem is solved when a hilariously disgusting monster appears and offers to eat the revolting peas in exchange for one little thing...the boy's soccer ball. But every time peas appear on the boy's plate, the monster's demands escalate. Eventually our hero faces a daunting decision--can he conquer his loathing for peas...or will he loose his most prized possession? This book is great to read to your picky eaters. It's funny yet teaches a valuable lesson--eat those peas! There are lots of different animals on the farm, and they all love their own special sort of food. The horse loves his hay and the geese flip for corn. But not Cow! Cow would never eat that stuff. You couldn't pay the cow enough! Because . 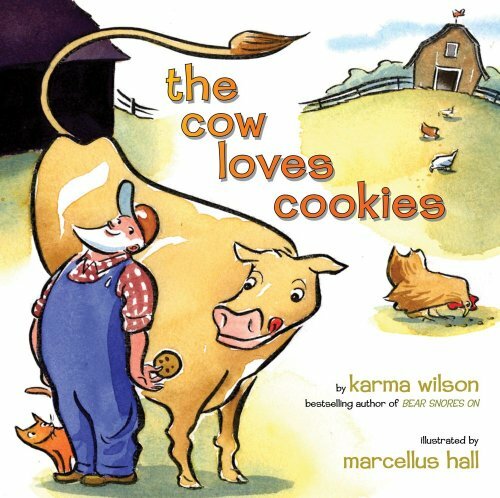 . . the cow loves cookies. Another great book from Karma Wilson. I love every single one of her books, and my two year old is especially in love with this one. He can definitely relate to the cookie loving cow and asks me to read this book to him over and over again. Great books, and I want to look for Max Loves Words book. I host a weekly reading linky on my blog here - http://learningwithmouse.blogspot.com/search/label/weekly%20reading. Perhaps you would consider linking up your post? Oh my! Looks like a fabulous set of books... PLEASE DO NOT SHOW THEM TO ME... I ALWAYS want to go and but them all ;-) though we have started going to the library more, which has been great! Thanks for linking and sharing on Kids Get Crafty! There is another Max book about this same Max, Max and his Dragon. My son is Max and he loves dragons, so we were hooked! I'll have to check out this max book. Thanks for sharing! These books are great! I especially love Brontorina. haha. A big dinosaur with a big heart, eh.